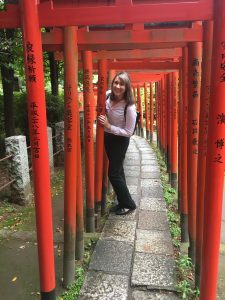 The Nezu Shrine ranks amongst some of the oldest shrines in Japan and among the most beautiful shrines in Japan on my personal list. 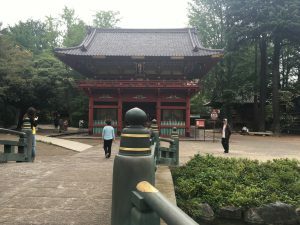 The shrine is close to Ueno Park and is situated on a relatively large plot of land. 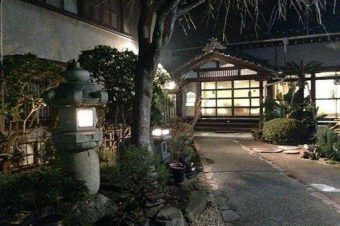 The legend behind the Nezu Shrine is that it originates from the first century A.D. At that time, a greatly feared prince by the name of “Prince Osu” or “Yamato Takeru” founded the shrine in Sendagi, but it was moved to its present location in the mid-17th century. Upon entering the shrine property, the first thing you will pass is the “Kami-ike” pond. This pond was originally shaped like a horseshoe but has since been partially filled. Many people believe this spot is holy place, thus bringing about the name of “Kami-ike.” After the pond is a beautiful bridge that goes over a small creek. 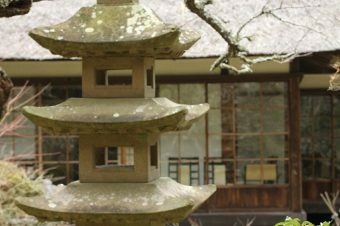 Almost every single structure found in this shrine is designated as an “Important Cultural Property of Japan” and has remained intact ever since they were either built or rebuilt back in 1706. 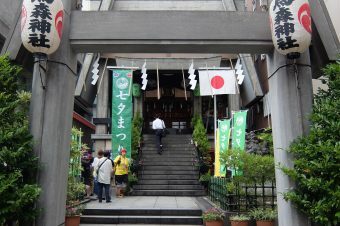 One of Nezu Shrine’s designated important cultural property is the Rou-mon Gate. This two-storied gate was built in 1706 and still stands tall today, making it the only rou-mon gate from the Edo period to survive until now. The gate that stands as the entrance to the Shaden is the Kara-mon gate, which is also a designated important cultural property. 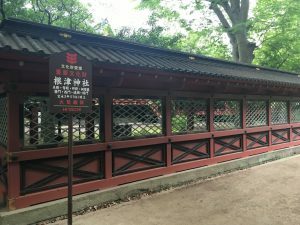 The final gate that is designated as important cultural property is the Nishi-mon gate, which is also attached to the wall surrounding the Shaden. This gate is one of the few remaining gates that are built in the Muna-mon style due to its weak structure during natural disasters (of which Japan has many). The Shaden (meaning the collection of main shrine buildings) is surrounded by the Suki-bei wall, which was built over 300 years ago, yet still looks beautiful. The Shaden itself was built in 1706 and is made up of the front building, the hall of offerings, and the main building. The front building is the place where people can pray to the kami. The hall of offerings stands between the front and main building and is used for holding ceremonies. The main building is where the deities live. 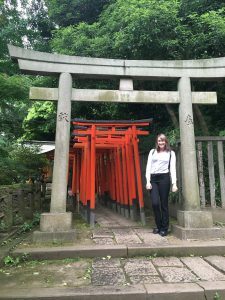 One of the most famous features of the Nezu Shrine is the Senbon Torii, which is an absolutely stunning pathway of torii gates that are lined up to make a tunnel-effect. The torii gates run along for quite a long distance. Along this path is the Otome Inari, which is an elevated stage that holds a small shrine that deifies the god of harvest. Near the end of the path is the Komagome Inari, a building for a guardian deity, and has been there since before the Nezu Shrine was placed there. Also, in an area along the path, there is a section covered in stones. 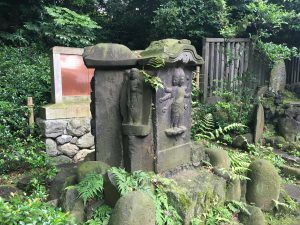 It is believed that under these stones the afterbirth of Tokugawa Ienobu’s mother is buried. It was common in old Japanese practice to bury the afterbirth of a child as a way of wishing for the child to grow up healthy. The afterbirth is called “ena” in Japanese and in history is was treated as the guardian deity of the child. Behind the pathway of torii gates is the Tsutsujien Garden, which only opens to guests during the times in which the flowers are in-bloom. The garden holds several kinds of azalea flowers, including the Goyo tsutsuji azalea, which is the symbol of Princess Aiko. The Nezu Shrine holds the yearly Bunkyo Azalea Festival, in which they show off over 3,000 beautiful azalea flowers of about 100 different kinds. During the festival, there are many special snacks and drinks for guests to purchase, such as Saka Manju, rice crackers, and amazake. Many vendors also set up booths for selling things such as toys and clothing. The shrine even puts on some traditional song and dance entertainment for the crowds. The Nezu Shrine quickly became a personal favorite of mine. The property it lays on and the path of torii gates are unique and beautiful. 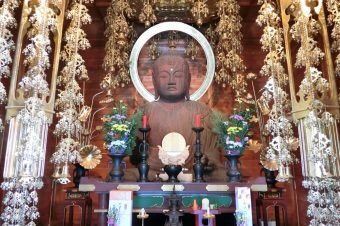 The shrine had an atmosphere that made me feel very relaxed. 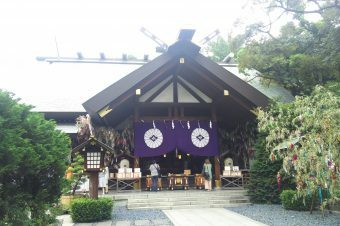 I will definitely visit Nezu Shrine again and I hope that other people will continue to visit and enjoy the shrine as much as I did.